Take a look at Negata's uncatchable covops. She blinged it up to make sure she'd never need to replace it. 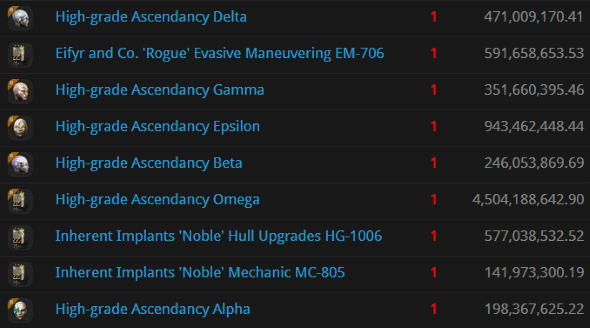 Unfortunately, there's no such thing as an uncatchable ship--not when you go AFK at a highsec gate. Agents Pod-Goo RepoWoman and Aaaarrgg caught Negata taking a nap and gave her a complimentary wake-up call. 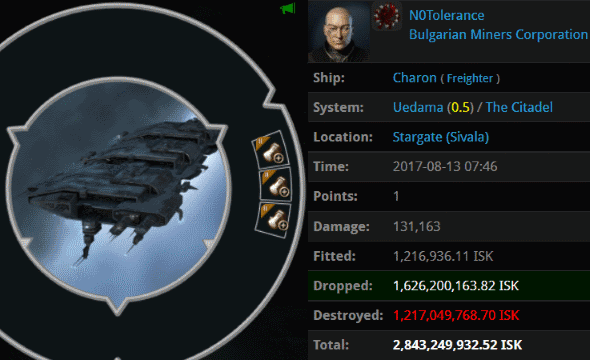 At first glance, there doesn't seem to be anything remarkable about N0Tolerance's Charon. After all, plenty of anti-tanked freighters have suffered from DBU: Death By Uedama. 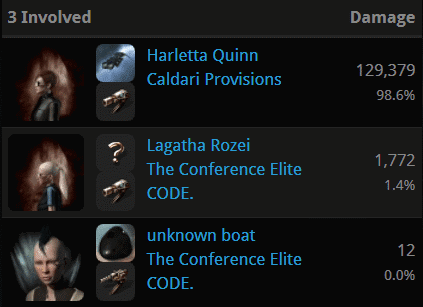 What's unusual about N0Tolerance's freighter loss is that it came at the hands of just three Agents, Harletta Quinn, Lagatha Rozei, and unknown boat. What happened? N0Tolerance violated the Code. His ship was guaranteed to die by one method or another. Andris Plepis was a master at fail-fitting, and he applied his creepy theories to an unsuspecting Orca hull. Our Agents did the Orca a favor by releasing it from this world. Once again, only a small crew of elite PvP'ers was needed to take down the mammoth target. 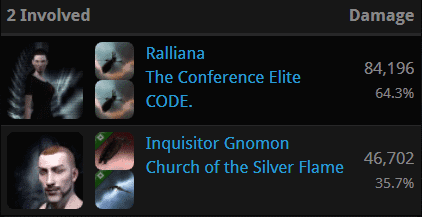 Agents Ralliana and Inquisitor Gnomon applied their EVE expertise on highsec's behalf. 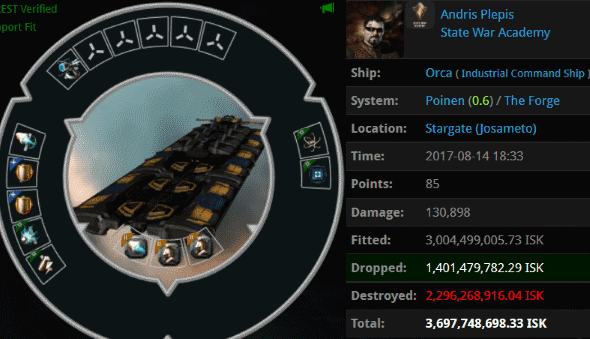 Unsurprisingly, Andris was the kinda guy who uses 1.8 billion isk worth of mining drones. Like the Orca pilot we just saw, Super Sweet16 figured out a way to bling up her mining ship without the use of ORE Strip Miners. 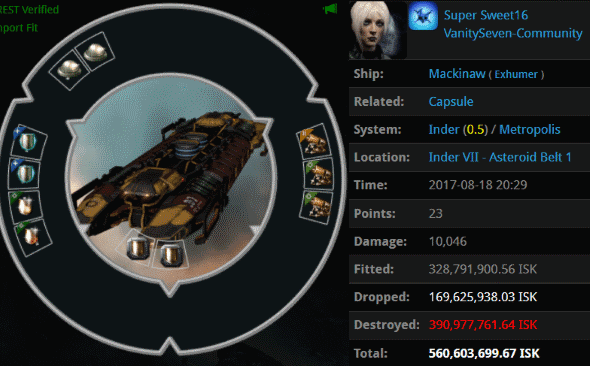 A hodgepodge of unnecessary modules inflated Super Sweet16's Mackinaw to 560 million isk. It didn't make the ship perform any better; it simply made the Mackinaw a sweeter killmail for Agents Alt Proxy and Alt 00. 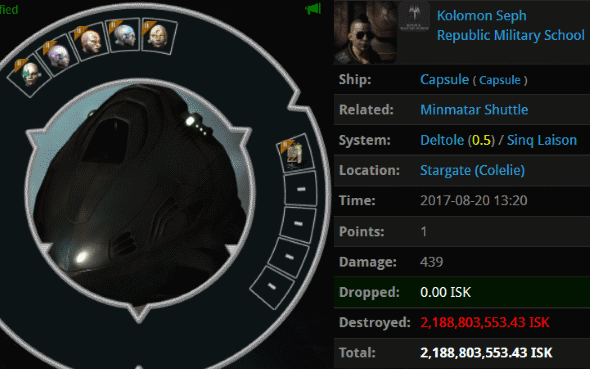 Kolomon Seph made the colossal mistake of safeguarding a 2.1 billion isk pod with nothing more than an autopiloting shuttle. Agent Myevil Gankalt was waiting for a target like this, and she was richly rewarded with an expensive pod kill. But this is not the Podkill of the Week. Zounds! Immor Naari was given a warm welcome to New Order space by Agent Giselle Rozei, who scored one of the biggest pod kills we've ever recorded. Immor had been tooling around in a Deep Space Transport when he was ganked and podded. 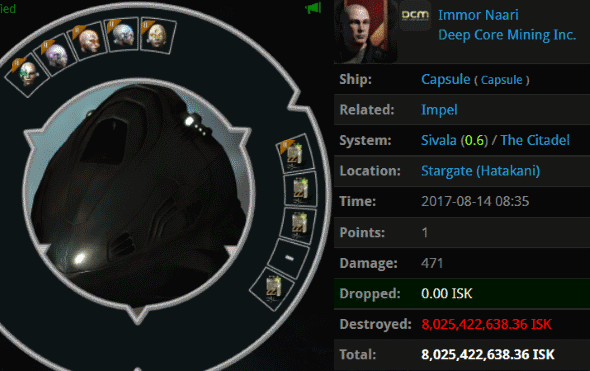 You might think it's pretty crazy for someone to lose an 8 billion isk pod like this. And it is. But you'd be surprised to learn just how reckless this Immor Naari fellow is. 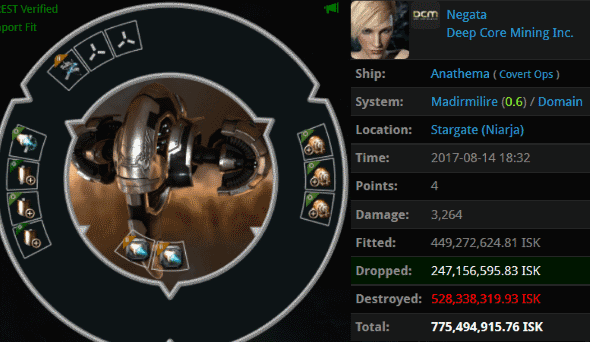 Just five days earlier, Immor Naari lost another 8 billion isk set of implants while traveling through lowsec. After two punishments of this magnitude, one ought to expect the lesson to sink in. No sir. Two days later, Immor Naari took another trip through lowsec and lost his third 8 billion isk pod. Now that, my friends, is a Goofus. Immor Naari has been losing expensive pods at an alarming rate. All of our Agents are advised to be on the lookout for this dangerously bot-aspirant carebear. They seem too preoccupied reassuring themselves that "CODE is dead" to notice the ongoing weekly carnage taking place all around them. Wolf couldn't stop beating her kids. She failed hard. Que the Circle-Jerk Echo Chamber in 3, 2, 1 . . .
Continue to follow the rules and stay compliant. Thanks to every agent for all the hard work you do! HS is infinitely better since you are around! Kill em or comply em, that's right my carebear buttmad friend.